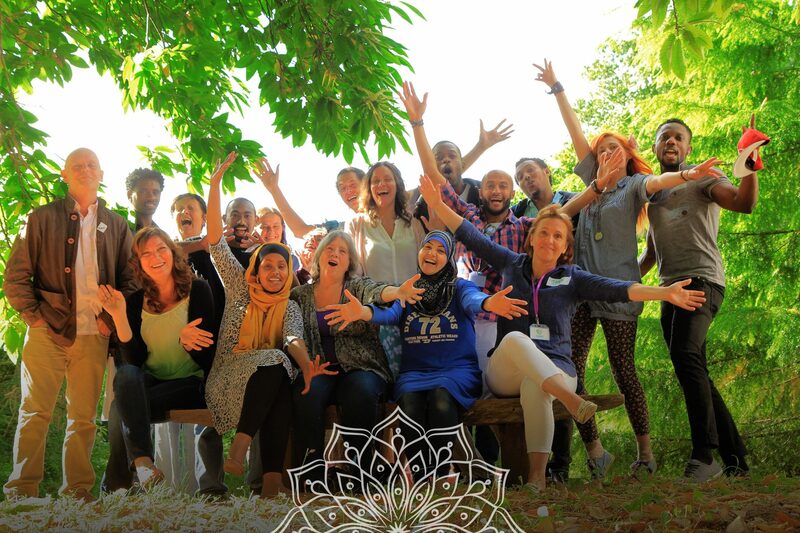 Integr8 UK was founded in 2015 by Saif Ali, a former refugee from Iraq, right after receiving his leave to remain and inspired by his 18-year journey of seeking asylum. During those 18 years, Saif navigated the adversity of displacement, poverty, homelessness, disintegration of identity, aspirations, hope and purpose, sever illness, lack of means and resources and discrimination. But he realised that none of these obstacles were a curse, but opportunities for growth and gifts in disguise. This shift in perception enabled him to turn the challenges of being uprooted into a birthplace for authenticity and a quest for meaning and self-actualisation. There where his journey shifted from seeking asylum to seeking purpose.This realisation shaped the current mission and work of Integr8 UK. Saif Ali, is a visionary social entrepreneur and director, speaker and group facilitator at Integr8 UK. 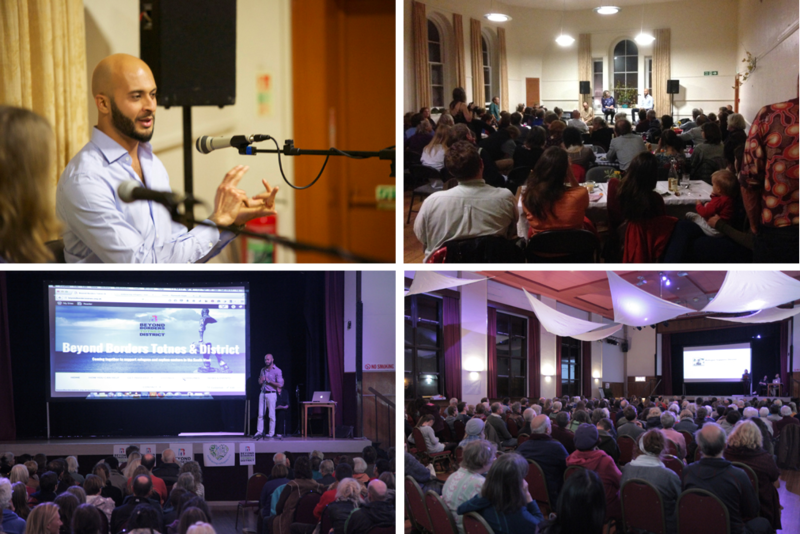 He studied at many leading institutes in social change and sustainable development like the Schumacher College, School of Social Entrepreneurs, Embercombe, and Ministry of Entrepreneurship and qualified as a group facilitator and personal growth coach. Saif dreams of a world enriched by the unique gifts and diverse experiences that each one of us carry. His mission is to enable people across cultures to realise their potential and gifts and actualise their life purpose, beyond their limitations. As a public speaker, he spoke on many esteemed stages including TEDx. 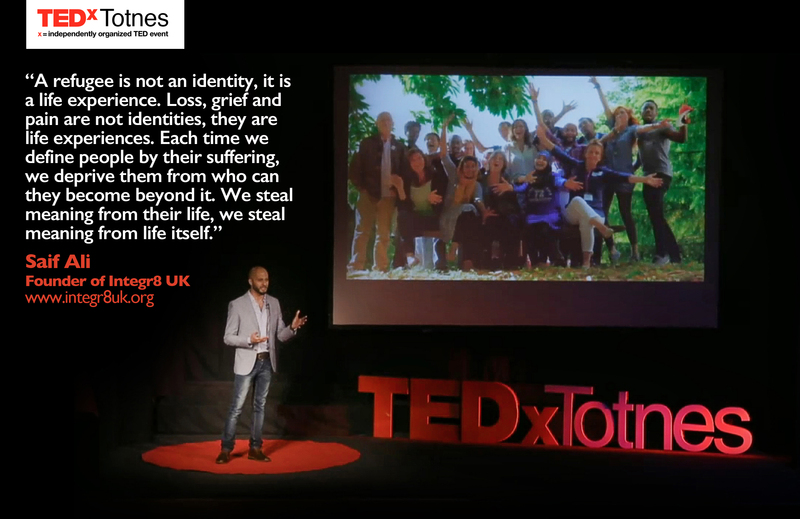 You can watch his 2017 TEDxTotnes talk ‘From Seeking Asylum to Seeking Purpose‘, where he shared how his earlier life expereince in Iraq and his asylum journey in Jordan and the UK gave birth to his current life mission. As a creative, Saif is a passionate filmmaker, photographer and artist. You can find out more about Saif’s professional background under his LinkedIn page.